Receive push notification alerts for stocks listed on the Singapore Stock Exchange. 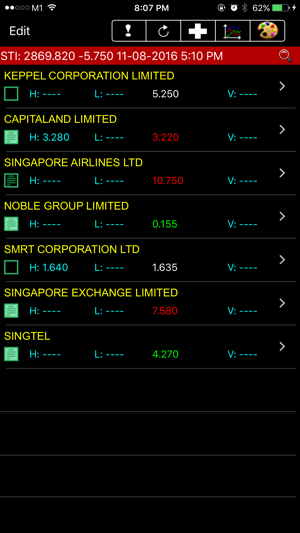 At the moment, alerts related to SGX announcements, price and volume targets are available. The app feels rather raw at the moment. For example, the layout and the user interface could be improved. While it is not perfect, which I believe it will eventually get there with refinements, the SGX announcement, high/low price, and volume traded alerts are simply genius! 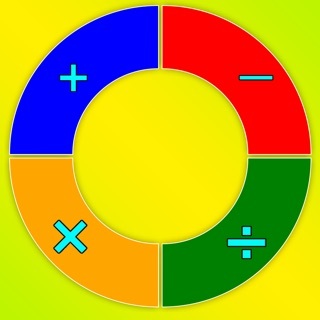 This is a must-have app for anyone who is serious about investing in Singapore equities. Worked great for 2 yrs and then it glitched on me and kept asking me to authorize my email which it had never previously did so before. Registered a new email and got locked out after 10min. In any case, this is a godsend for retail traders who cannot sit in front of the screen the entire day to trade. If a premium version that allows for more than 20 stocks were released, I would buy it in a heartbeat. One of my favorite app for stock. Have been recommended to friends. But recently there is synchronization problem. Hope u can solve it. More ways to shop: visit an Apple Store, call 1800‐692‐7753 or find a reseller.